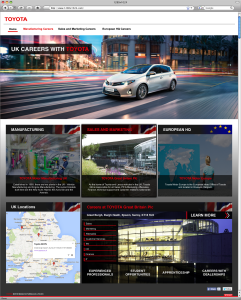 While working for Haywyre LLP, the Toyota Manufacturing UK recruitment team asked Haywyre to design a new responsive website ready for their 2014 recruitment campaign. 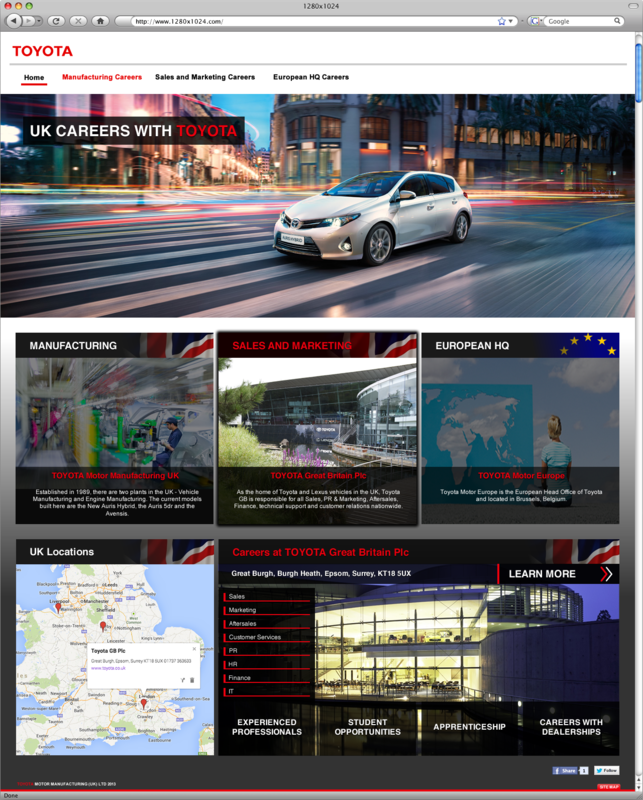 The image below shows how the recruitment homepage looked before the re-brand. 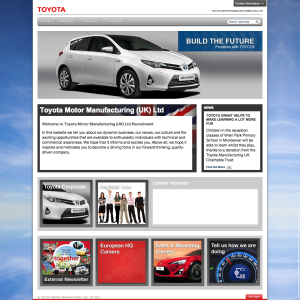 It had a fixed page layout which made it very difficult to view on mobile devices, this meant a high proportion of their visitors were not receiving a great experience when visiting the website. 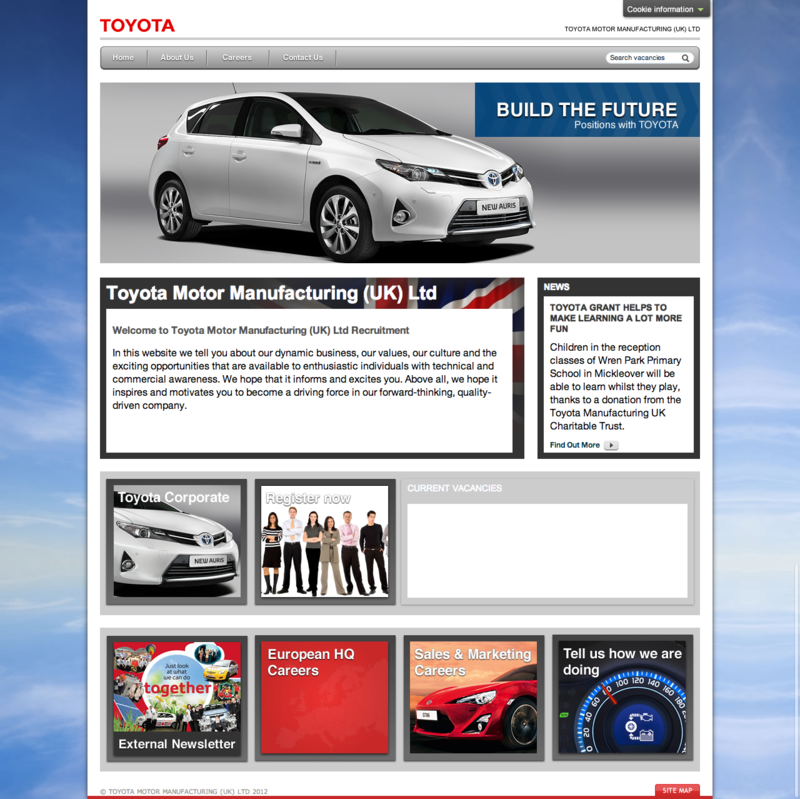 The website is available at http://recruitment.toyotauk.com/, however the pages have changed somewhat since I last worked on the site.